I’ve had chairs on my brain lately and I’ve been doing lots and lots of shopping for different clients (and myself..who am I kidding)! 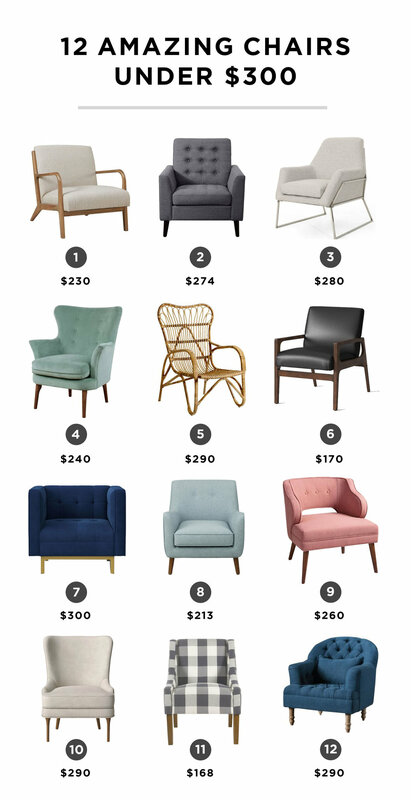 Specifically, affordable accent chairs have been the order of the day so I thought I would round up some of the best options I have found that are $300 and under! Disclaimer: I haven’t seen all of these in person (only a few) so I can’t speak to their quality and construction, but I do make a habit of reading the reviews and paying close attention to the materials while also focusing on the style. 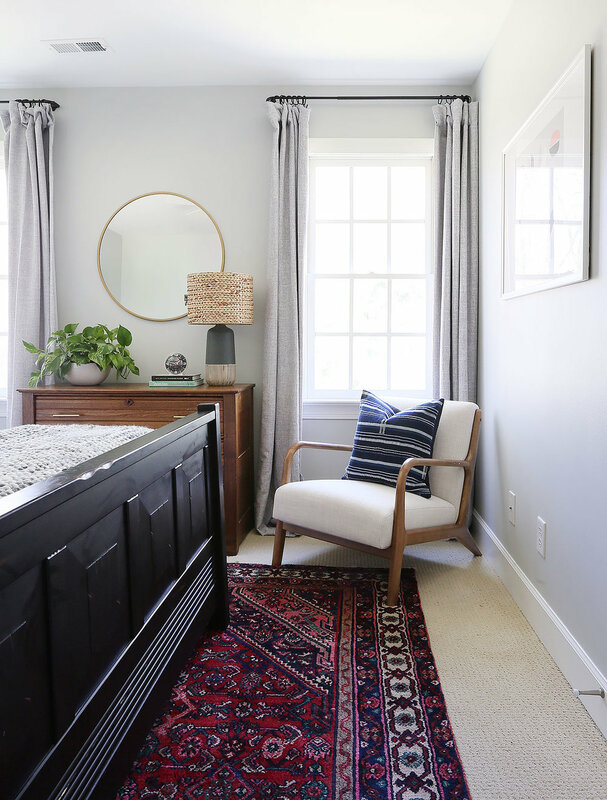 The grey chair was purchased from Home Centric (a local store) but I sourced a very similar one from All Modern that has all that good tufting as well. Such a fun and sophisticated detail! And that Target chair is just so, so good! I have used it in multiple places in my home and suggested it for several clients. The quality, shape and design is very good especially for that price point. Also, the simple and modern shape goes with any style of decor. As of right now, that color (Millbrook Husk) is sold out, but I did find a similar (identical?) one from All Modern. I rounded up 12 of my favorites below with all the sources linked at the bottom. Are you guys into these types of roundups? Lemme know in the comments if you find them useful and any other ideas you might have! Happy looking/shopping and thanks for reading!